Rabbi Zachary Truboff recently made aliyah and lives with his family in Jerusalem. For nearly a decade, he served as the rabbi of Cedar Sinai Syagogue in Cleveland, OH. In addition to his work at the shul, he has taught in a variety of adult education settings including the Torat Tzion Kollel, the Alvin and Laura Siegal College of Jewish Studies, and the Wexner Heritage Program. He has served as Director of Jewish Life and Culture at the Mandel JCC and is the founder of the Cleveland Jewish Arts and Culture Lab. In 2015, he was chosen by the Cleveland Jewish News as one of the 18 Difference Makers, a select group honored for their contributions to Jewish communal life in Northeast Ohio. His writing on contemporary Jewish thought and Zionism has appeared in a variety of places including the Lehrhaus, EJewishPhilanthropy, and the Times of Israel. 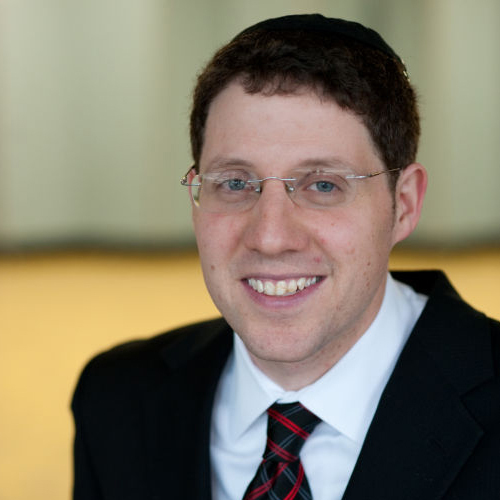 Rabbi Truboff is originally from Sharon, MA, and attended the University of Massachusetts at Amherst where he received a BS in Industrial Engineering and Operations Research. After college, Rabbi Truboff worked as an engineer before moving to Jerusalem to dedicate himself to full time Torah study. He studied and taught at the Pardes Institute for Jewish Studies and received semikha from HaRav Zalman Nechemia Goldberg. Upon returning to America, he received an additional semikha from YCT and served as a visiting rabbi in congregations in northern New Jersey. He is also a recipient of the Rabbi Moshe Sachs Pastoral Counseling Award from YCT.